Published by Joshua Clare-Flagg on 13 Jan, 2013. 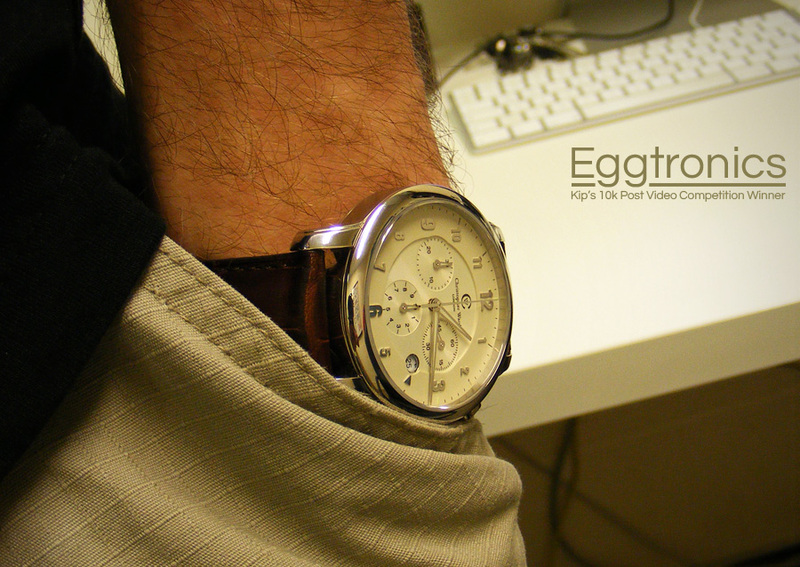 I was fortunate enough to win the video part of Kip’s 10,000 post competition on the Christopher Ward Forum. 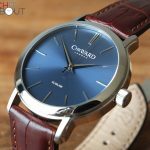 The prize was a £100 voucher courtesy of Christopher Ward to spend on any of their items. I put it towards a nearly new C3 Malvern C3SWT. I ended up paying £50.50 plus the postage for this. Not bad eh? 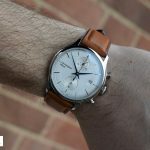 There isn’t a great deal of info about this watch, so I thought I’d put my thoughts on it into a little pictorial review. 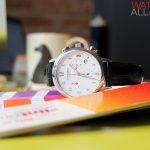 I hope you enjoy what you see and read, and I hope it helps others who are thinking about getting this watch! The watch is a really comfortable wear. At a diameter of 40mm, and a height of 10mm it is a very nice size, not too small (it definitely has a presence) but also not too large. I went for the champagne dial. It is a gorgeous colour, which goes with the chrome numbers really well. Looks stunning when the light hits it. Of course, the sapphire crystal with the anti reflective coating on the underside really helps how this looks too. Makes it look very expensive. The hands are very elegant to, I love how long the minute and second hands are… They almost reach the edge of the dial and touch the rehaut! Makes it look so classy. The subdial hands match well too. The lume is surprisingly good.When it has had a proper decent charge, you can see the lume almost light up the rest of the dial! 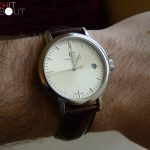 I like how the dial is pretty much on 3 layers – the outer track with the numbers, the inner circle with a lovely circular texture, and the subdials with their own circular texture. The date window is nice too, with a circle of chrome around it. Makes it look expensive, and the cool little chrome arrow pointing to it is a neat touch too. It’s nice that the old logo is still on it! The watch comes with a Ronda 5040.D movement. Has some really good features. Firstly, some people think that the watch has stopped when they look at it. 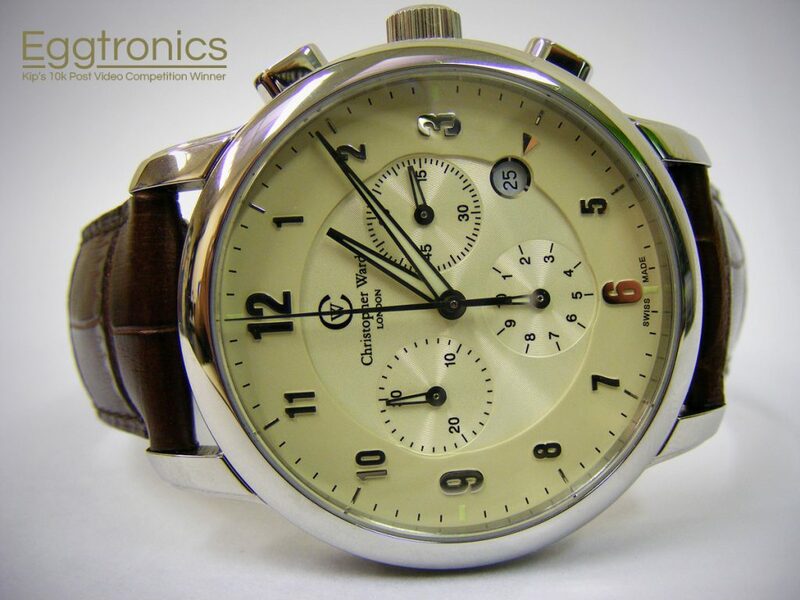 That it because the running seconds hand is the top right dial, and not the main seconds hand. That is the stopwatch seconds. This doesn’t bother me at all, as most of the chronos I have ever had are like this. I have read that this is a real turn off for some people though. The top left subdial is the stopwatch minute counter. The bottom subdial is pretty clever- for the first 30 seconds is is a 1/10th of a second timer, which whizzes around every second. After the first 30 seconds, it stops and then becomes the stopwatch hour timer. So this stopwatch is a 10 hour timer! Pretty neat, as I have only ever had 1 hour timers. It uses the usual controls, top to start/stop, bottom to rest. But, if you press the bottom button when it is running, it acts as a lap timer. So you can stop it, read what time it says, and then press the bottom again and it’ll zoom back to the current stopwatch time. The case is very well machined, with a nice variety of brushed and polished stainless steel. 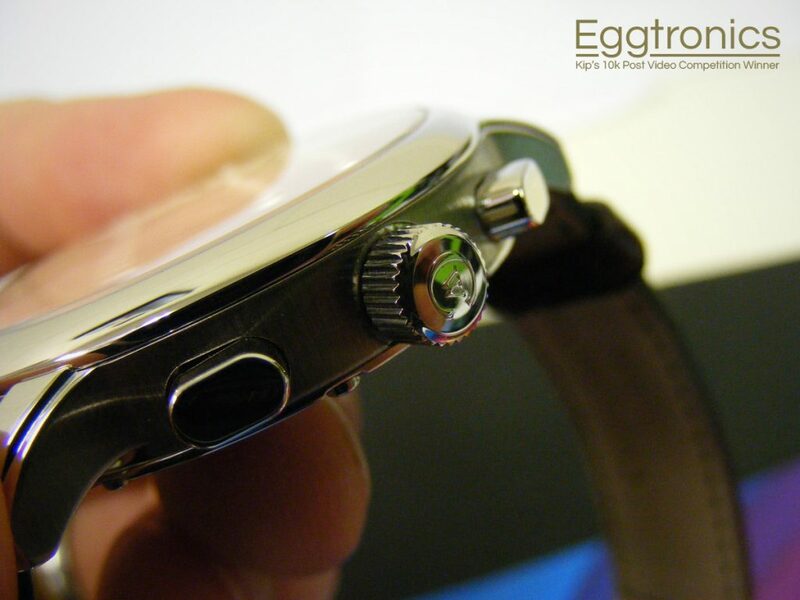 The bezel, and the top of the strap lugs are polished. The sides are brushed, and the bottom is polished. 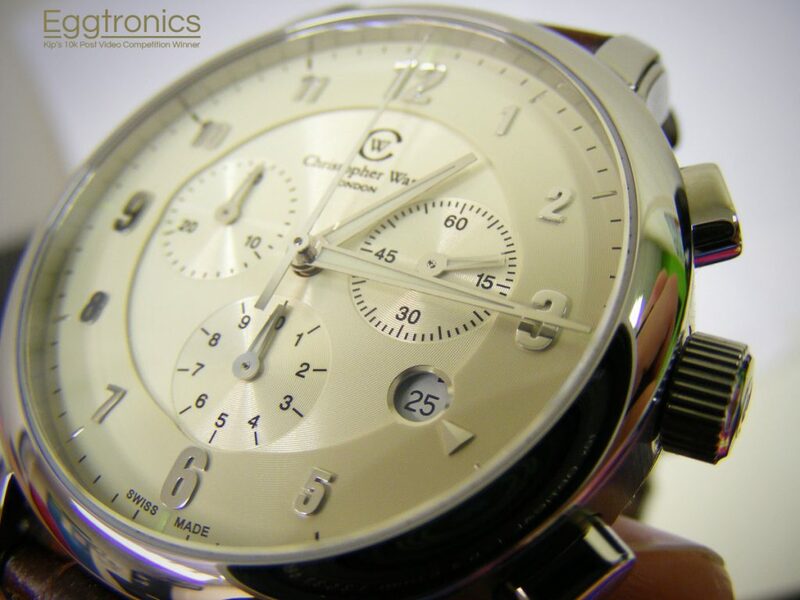 The chronograph buttons are all polished, so is the crown with the classic CW on it. The case back on this C3 hasn’t got a serial number on it, maybe it was some sort of display model. The etching of the text and CW is nice and deep though. The case back is held in place by 7 screws. Makes a nice change to having a screw in caseback! Looks like a well made machine with all those screws! 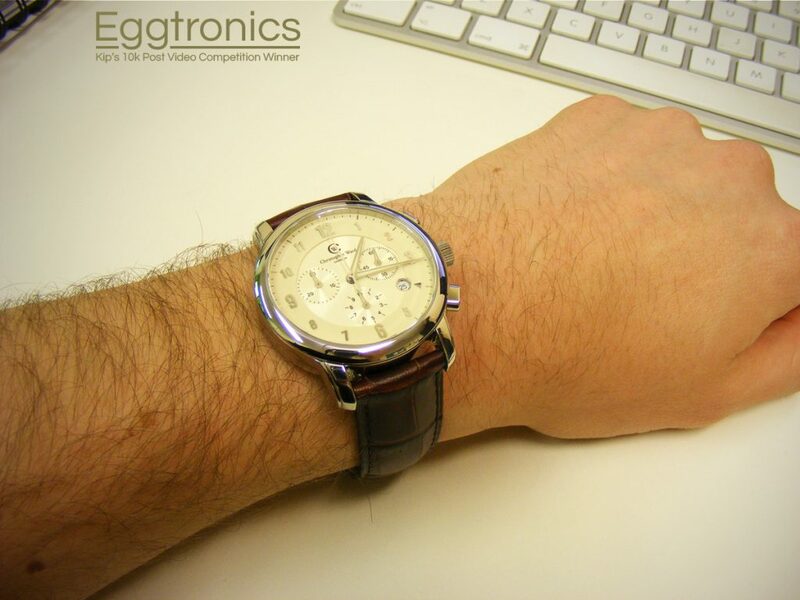 Nothing particularly to report here, a good ol’ decent quality leather strap. Very comfortable to wear, soft underside. Solid butterfly clasp too, absolutely no chance of this baby popping off my wrist unexpectantly. Great watch for the price. 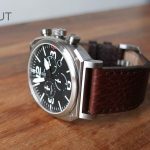 Would you be able to get a Swiss Made quartz chrono with sapphire crystal at this price point from anyone else? Probably not. 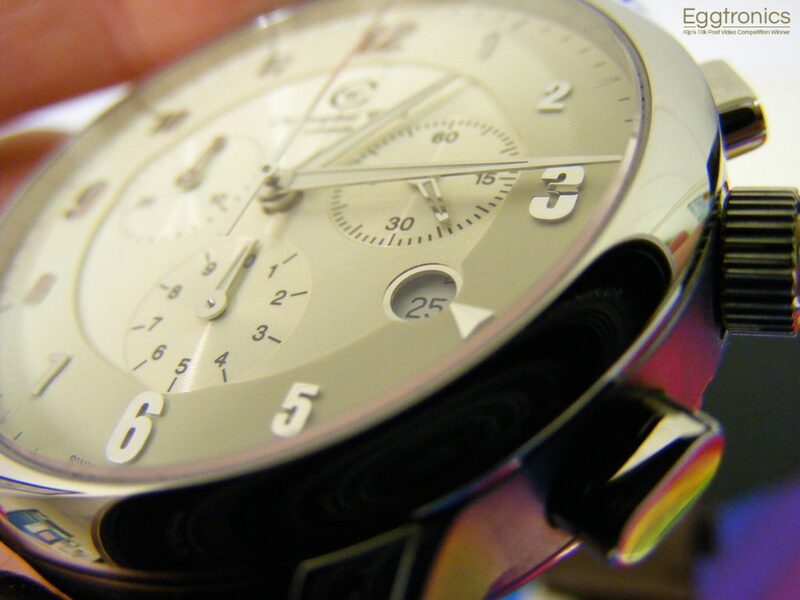 The looks are very classy and it is definitely a dress watch. 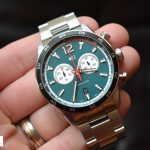 Personally, I prefer my C60, but only because I prefer big and chunky diver watches (all a matter of personal taste). If I am wearing a suit, however, this is the watch to wear. So if you are interested in one of these, I would highly recommend it. 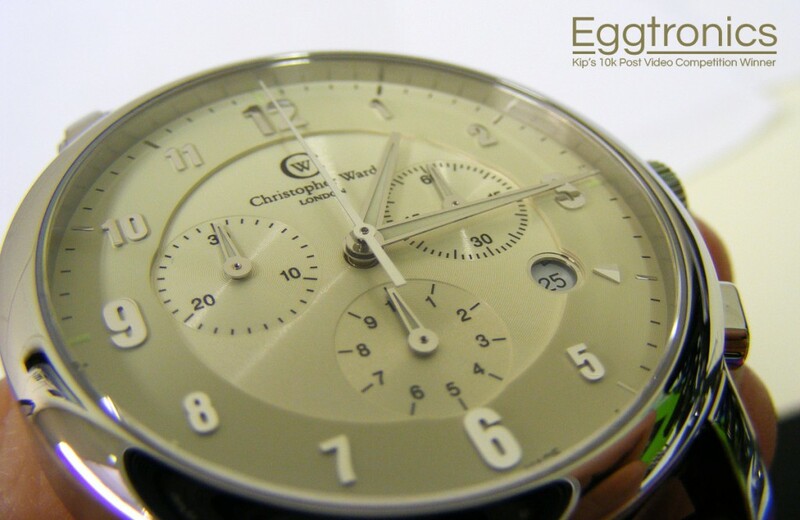 As is the case with all CWs, the pictures do not do the watch justice. 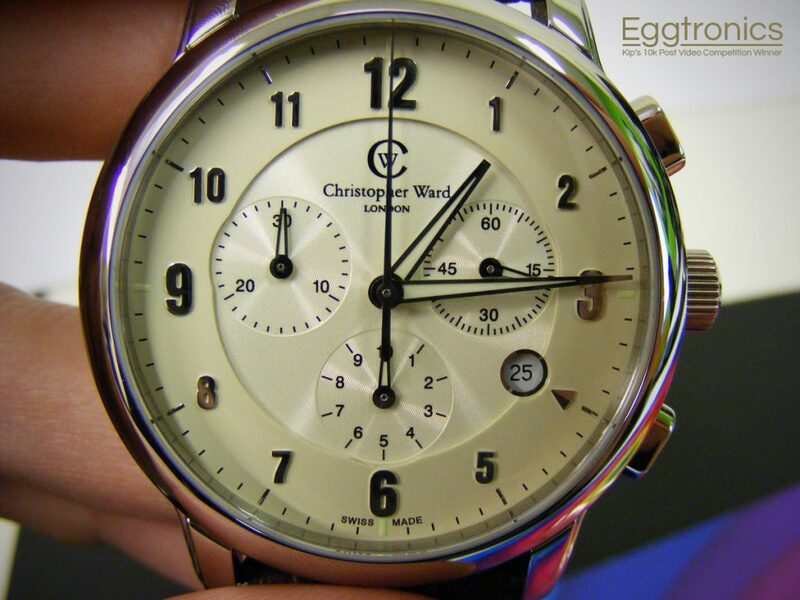 Thank you Christopher Ward!